Explore the work RSPCA NSW does to help animals and their owners in the community. A recent Australian study revealed that approximately 50 per cent of women in violent relationships reported that their violent partner had hurt or killed one of their pets. The study also revealed that 33 per cent of these female pet owners, who were now living in crisis accommodation, had delayed leaving their violent relationship because of concerns for their pet’s welfare. Through our Domestic Violence program, RSPCA NSW aims to offer practical solutions for pet owners leaving situations of domestic violence. 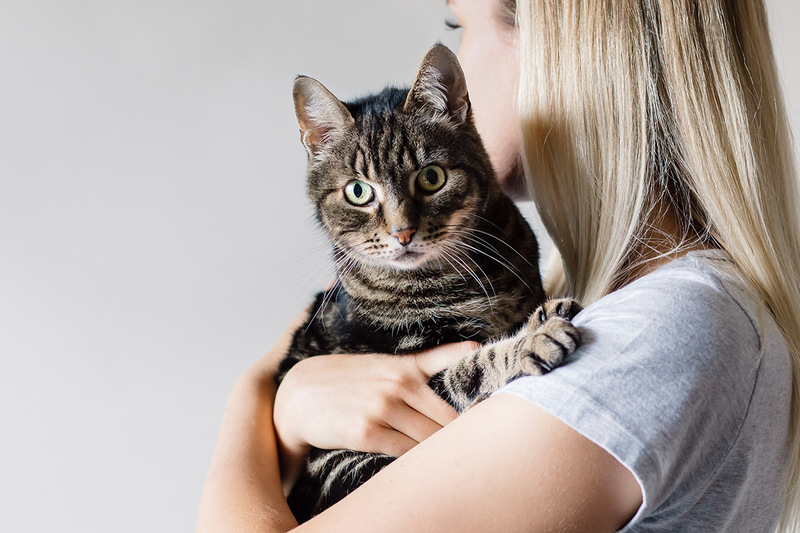 We safely house and care for their pets, allowing them time to find safe refuge for themselves, with the aim of reuniting them with their beloved pet as soon as possible. This community program was previously known as Safe Beds for Pets. For more information please contact the RSPCA Community Programs helpline (02) 9782 4408. The helpline operates Monday to Friday, 9 a.m. – 5 p.m. During weekends and public holidays contact the RSPCA Contact Centre on (02) 9770 7555. How much does your Domestic Violence program cost? Each situation is assessed on a case-by-case basis, and cost may depend on which services are required. Please contact the RSPCA Community Programs helpline (02) 9782 4408 or fill out the form below to see how we may be able to assist. What areas does your Domestic Violence program service? Our Domestic Violence program is available throughout New South Wales. All enquiries come through our Sydney office, so more regional area enquiries may take longer to action. How does RSPCA NSW protect my pets from the person/s I’m escaping? Our Domestic Violence program recognises that safety is paramount in these situations. Precautions are taken to try and ensure the safety of not only the pets, but also of the client themselves. Animals are de-identified and kept in a secure location, away from the general public.